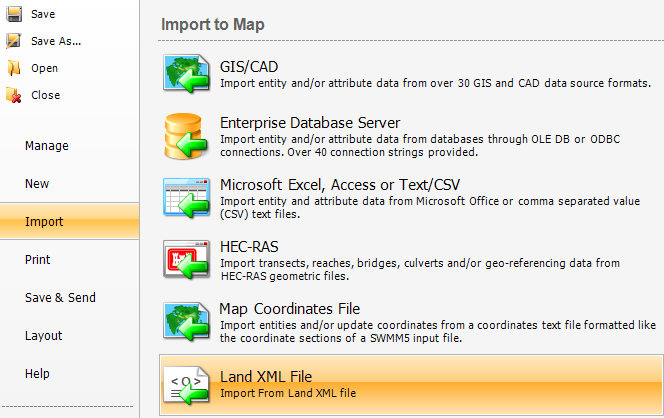 We're working on a new tool to import LandXML files into SWMM5 projects. This tool will enable modelers to bring their AutoCAD drawings and Civil 3D parcels and pipe networks directly into PCSWMM. Look for the new tool in our update coming out later this month!